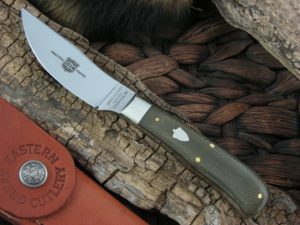 This is the Great Eastern Cutlery Caping Hunter, has OD Canvas Micarta handles and the steel is 1095. The blade finish is Satin. affordable small fixed blade. 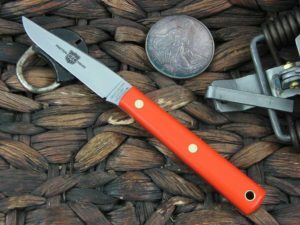 grippy handles and functional blade shape. 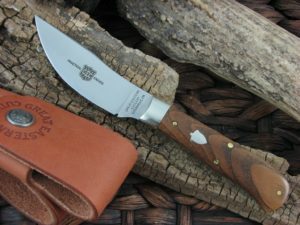 pocket sheath with clip is a cool addition as well.